Tired of Living In Pain? At Minooka Laser Therapy Center we safely and effectively get rid of pain fast! Whether an old injury that has been nagging you for years, or a new condition bothering you only recently, we have the tools and experience to get you out of pain! We currently use the M6 MLS Class IV Laser Therapy Unit (pictured right), which utilizes both hot and cold laser the technology to deliver maximum pain relief. Scroll down to learn a few quick facts about the M6. Call now 815-467-0200. What Makes Laser Therapy So Unique? Reduce Pain. Relieve Inflammation. Restore Mobility. GET YOUR LIFE BACK!!! MLS Laser Therapy uses specific light wavelengths which have a strong anti-inflammatory, anti-edema effect on cell tissue. The laser creates photons of energy that painlessly penetrate into tissue cells accelerating the body’s natural healing process. As a result of this exposure tendons, ligaments and muscles repair themselves faster. Therefore, painful conditions accompanied by swelling and inflammation benefit from this technology. As inflammation is reduced, pain subsides very quickly. In simple terms, laser energy kick-starts the healing process, speeding recovery. So instead of being in pain for the rest of your life, you can get out there and do the things you live for, like playing 18 holes of golf, taking the family on a Sunday bike ride, or something as simple as walking in the forest preserve with no pain! Is MLS Laser Therapy painless? Yes, most patients report no sensation at all while receiving laser therapy. There are no known side effects. Laser Therapy is cleared by the FDA and is safe and effective. Over 90% of patients experience positive results after the 3rd treatment. In many cases, by the 3rd or 4th treatment, swelling is greatly reduced and there is a rapid relief of pain. The effects of MLS Laser Therapy are cumulative; therefore, expect to see improvement as you proceed through your Treatment Plan. We are proud members of the Laser Pain Management Association. Click the image on the left to learn more about LPMA, which certifies MLS Laser Therapy Professionals. Our Laser Specialist is a founding member of the organization. CALL the Office TODAY at 815-467-0200 to set up your FREE Consultation! We offer Chiropractic Care at an affordable price that is based on our patient needs. Click the image below to learn more about Minooka Family Chirorpractic, our commitment to the community, and the staff. 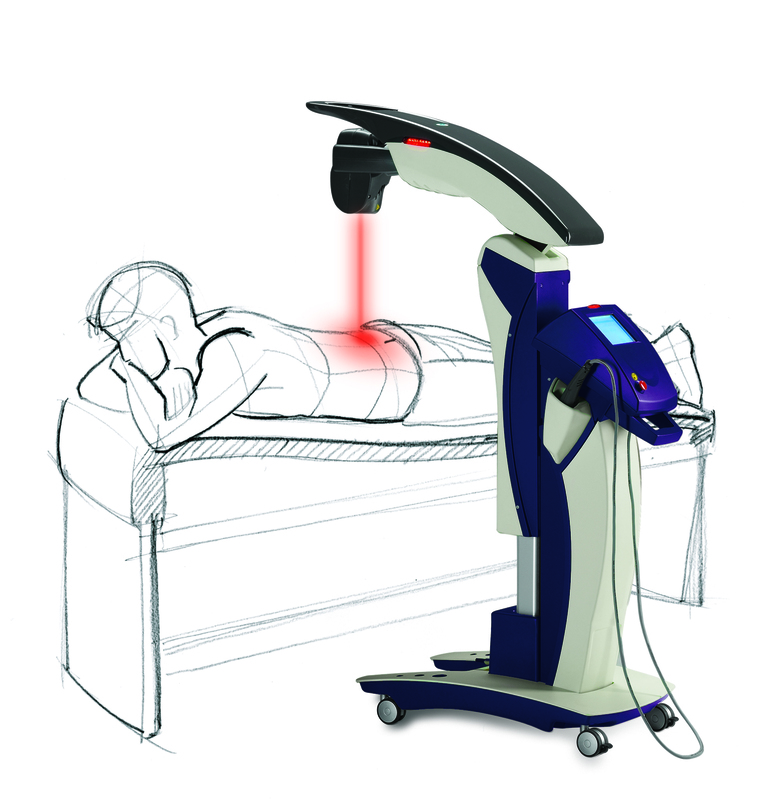 We offer fast effective pain relief using robotic therapeutic laser technology. Learn more about our safe and affordable treatments, philosophy, and staff by calling the office and setting up a Free Consultation at the address below.